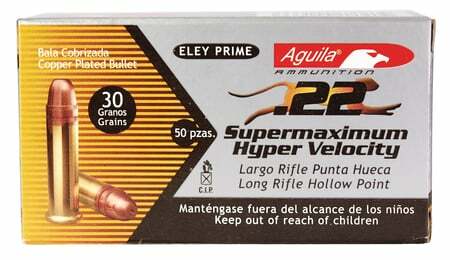 Brass cases of maximum resistance, manufactured for perfect feeding in any type of .22 rimfire weapon. Technically designed bullets which provide maximum accuracy and due to their lubrication do not foul the barrel. Clean combustion gunpowder and high velocities at low pressures. Hotter load than most hi velocity .22 loads. 1750 feet per second muzzle velocity.